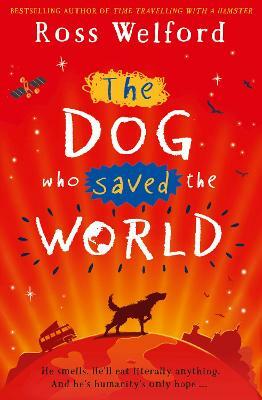 The astounding new novel from the bestselling and Costa-shortlisted author of Time Travelling with a Hamster, this is a story for everyone of 10 and older who loves adventure, laughs and tears. One of my favourite middle-grade writers Kiran Millwood Hargrave, author of The Girl of Ink and Stars When 12-year-old Georgie makes friends with an eccentric retired scientist, she becomes the test-subject for a thrilling new experiment: a virtual reality, 3D version of the future. Then a deadly virus threatens to wipe out every dog in the country, and Georgie's beloved dog Mr Mash gets sick. Which is bad - but worse is still to come. As the world is thrown into chaos, Georgie embarks on a desperate quest: to save every dog on earth and all of humanity... ... without actually leaving the room. An extraordinary quest with the biggest stakes of all, and a huge idea at its heart, this is time travel - but not as you know it.